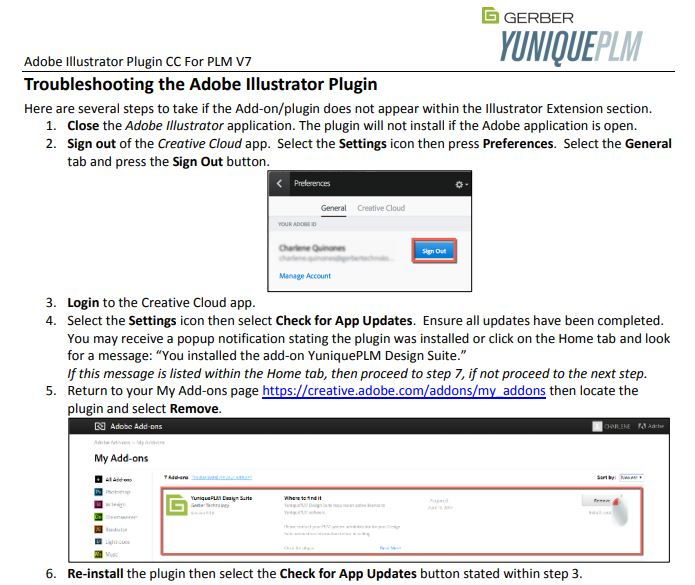 If you are having trouble uninstalling the Illustrator Plugin, please follow the below steps and documentation. Make sure Adobe Illustrator is not running. Make sure you have the Adobe Creative Cloud app open. This is what performs the sync between the Adobe app store and your computer. Login to your Adobe Creative Cloud account and access the MyExchange site. 4. From here, you can uninstall and reinstall the latest version of the plugin.